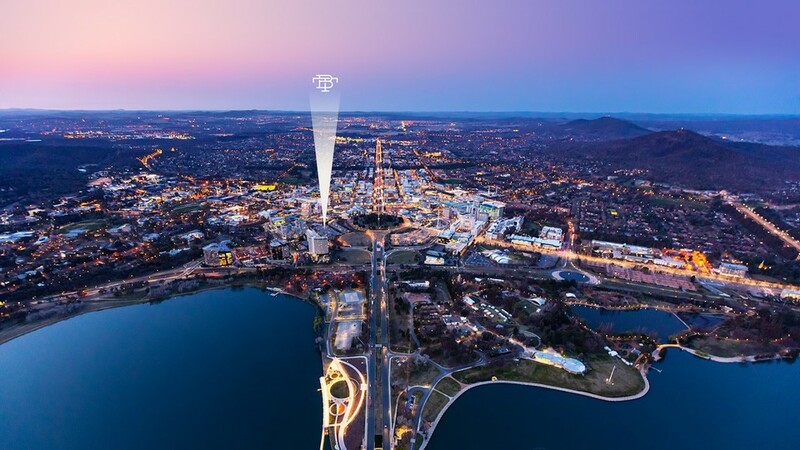 The City Starts Here - One City Hill is designed to echo the geometry of nearby Lake Burley Griffin, with a mix of precise angles and soft curves uniting the natural and man-made worlds. The design will maximise privacy, while allowing expansive, never-to-be-built-out views of the City Hill parkland and beyond. With its significant frontage to Vernon Circle and southern approach to the city, One City Hill is destined to become a Canberra landmark. Designed by renowned architects Francis-Jones Morehen Thorp (fjmt) The Barracks will transform the southern gateway to Canberra City. One City Hill residences are designed for all generations, from singles to downsizers from working couples to families. A thoughtful mix of apartments will range from compact studio and one bedroom apartments through to spacious two, three and four bedroom plans. 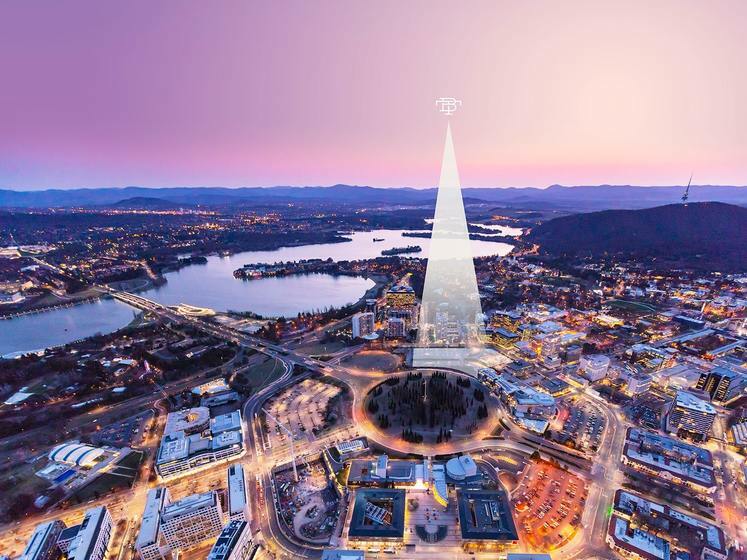 With a deliberate focus on liveability, One City Hill will offer a level of spaciousness rarely seen before in Canberra. These are residences with the amenity and expansive style that equips them to become 'forever' homes. A choice of three colour schemes; Gold, Silver or Pewter, will let you create your personal ambience. 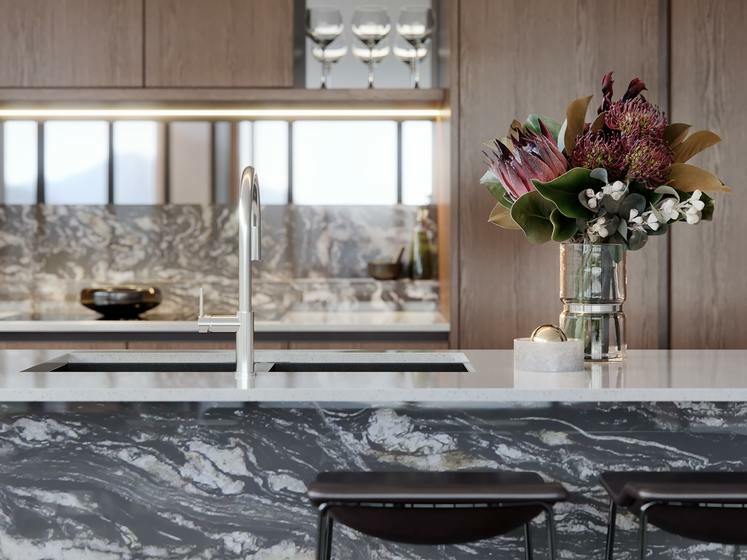 Rich textures and materials, natural stone features and subtle colour palettes will enhance the play of light from generous windows, living areas open to private outdoor space while a number of apartments enjoy exceptionally generous resort-style terraces. The finishes have been selected for their quality and their function as well as for their visual appeal. The interior design team has brought special focus to the kitchens, with components sourced from the world-leading Swiss kitchen company Franke. For over 100 years, every Franke product has been carefully designed with Swiss precision that ensures you can feel the quality and craftsmanship of every piece. 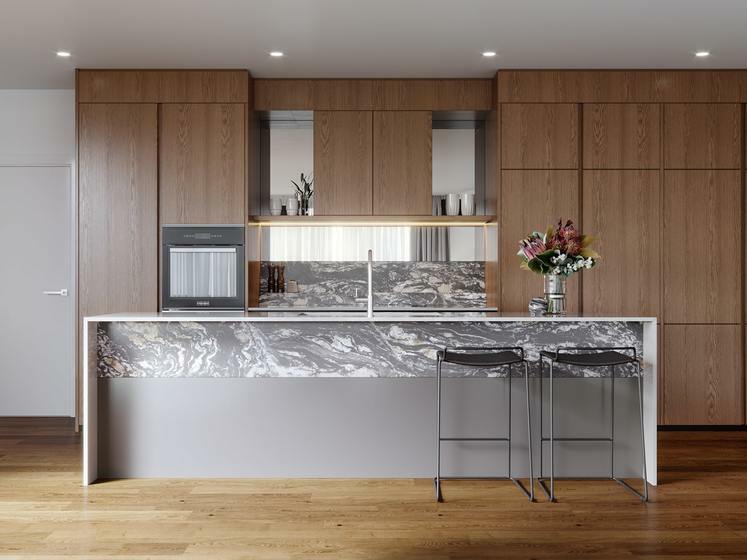 At One City Hill, your Franke kitchen will include beautifully designed tapware, a black Tectonite kitchen sink, and high-end appliances including a 10-function oven and externally ducted range-hood. 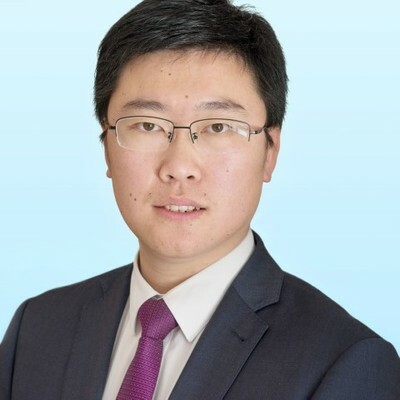 The three-bedroom apartments will also include an in-built food waste disposal unit and a double fully-integrated ILVE refrigerator and freezer. And the attention to detail continues into the most private spaces with high-end Parisi ware to bathrooms and ensuites. 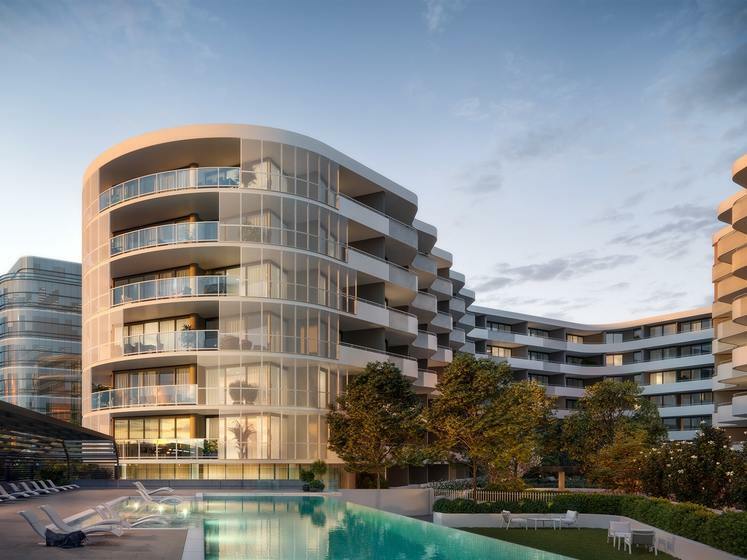 A range of residents-only amenities will make your new city lifestyle even more rewarding, suspended at the edge of the city an infinity swimming pool will hover over a lush garden terrace, around which other life-enhancing facilities. The central garden space is an important element in defining the identity of the building. There will be landscaped barbecue areas, a yoga lawn, shady trees and sunny spots to relax with a good book. Keeping fit will be easy, with a fully equipped gymnasium on level 2 next to the pool. A private theatre will let you enjoy a big-screen experience - just the thing for those big sporting events or your favourite movie. The room will double as a function room and bar for special-occasion entertaining. *Please note, all renders may not apply to this unit type. 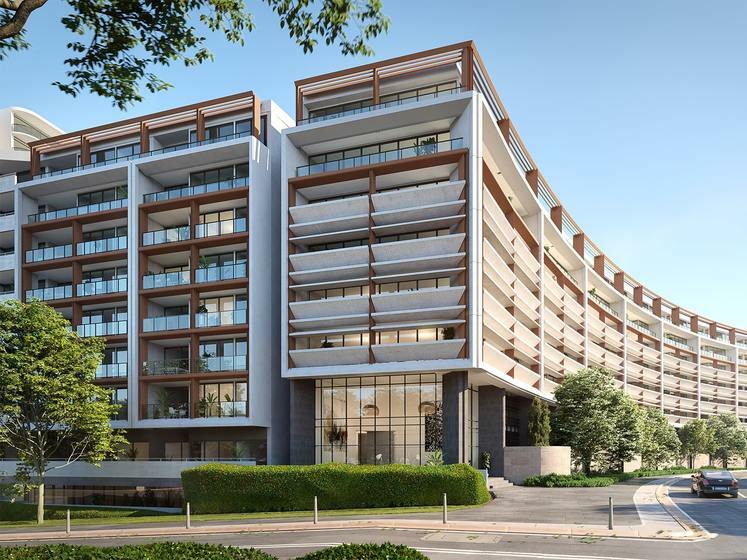 For more information visit the Project Gallery located on London Circuit, opposite Farrell Place intersection, or call 1800 870 311 to arrange an appointment. This listing has been viewed 1550 times. It was first displayed on 26/10/18 and last updated on 23/04/19.